SOMETIMES, appearing like you are well-rehearsed and polished can come at a detriment to your image, according to political expert Dr Chris Salisbury. The University of Queensland researcher said the public could be more receptive to politicians who appeared to turn away from the 'sleek' image. 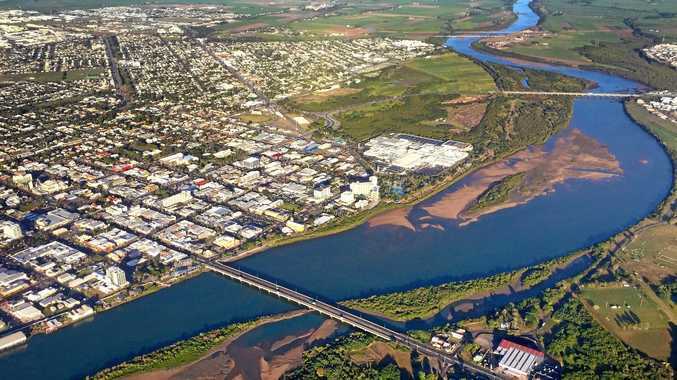 During the Mackay Chamber of Commerce's Dawson Debate on Thursday, the candidates for the seat will take part in a Q&A session. The chamber is asking for question submissions on the issues that are important to the community. Belinda Hassan (Labor), Brendan Bunyan (Katter's Australian Party), Colin Thompson (United Australia Party), George Christensen (Liberal National Party) and Debra Lawson (One Nation) will answer questions from members of the community at the forum. Greens candidate Imogen Lindenberg is unable to attend. With many new and minor party candidates on the Dawson ballot, Dr Salisbury said the image politicians and candidates used could have an impact on the community's perception of them. "In special forums like candidate debates, being a better-coached or better-prepared performer in those kind of arenas does help," he said. "But generally speaking, the professionalised image that major (parties) carry and especially if you have a candidate who has been affected by negative press ... then there tends to be a bit of a backlash against that, but I think it works both ways." Dr Salisbury said energy prices and energy generation, mining, the Great Barrier Reef, tourism and jobs were likely to be some of the big issues for Dawson. 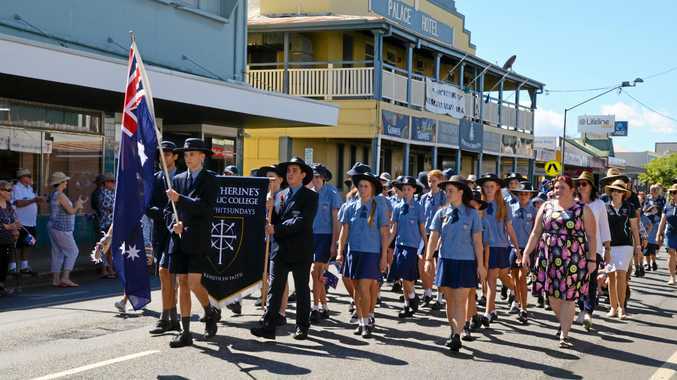 "All of these issues are important in regional Queensland and need to be juggled carefully by the major parties," he said. "All of those issues have been in the mix for some time now and probably it's fair to say neither of the majors have made any inroads in ... solving (those) problems. "This is where people begin to turn away to the minor parties. This is not just to lodge a protest vote, but to try and get some movement on the issues." HOW DO THE CANDIDATES PLAN TO WIN YOUR VOTE? WHT DO YOU BELIEVE ARE THE KEY DAWSON ISSUES? Brendan Bunyan: The uncertainty of mining and agriculture. Both are under attack from Labor/Greens and neither are receiving the recognition from the Liberals. Dawson lives mining and farming, without them we do not have an economy, it is that simple. The tired policies of the major parties are not working here anymore. Without a fresh approach and loud noise, nothing will change to help these industries. The cost of living cannot be allowed to continue to rise like this runaway madness we are seeing now. People are begging for relief from our power costs, business needs this relief to employ and the smoke and mirrors must stop now for us to have a future. George Christensen: The biggest issue for the electorate of Dawson is defending local jobs in our traditional industries, chiefly mining and farming. With an electorate that extends from Mackay to Townsville, getting our fair share is always a hard-fought battle and the only way to win such a battle is to do the homework and be prepared to stand up no matter what the cost. Cost of living pressures are a massive issue for people from all walks of life. Belinda Hassan: My priority is to ensure our region gets its fair share. I am committed to Stage 2 of the Mackay Ring Road, which is critical to our port access, making our roads safer and creating more local jobs. As a mum, I know our kids need a good, quality education - we'll invest more than $23 million into our public schools in Dawson and restore the funding cuts from the Mackay hospital. Deb Lawson: We have to help our agricultural industry, pull the mining royalties back into the regions they come from and fix the Bruce Highway. Imogen Lindenberg: The main issue facing Dawson is employment and working conditions. Forty per cent of Australians are in insecure work, one in four people working full-time are living in poverty.. On top of this, up to 40 per cent of Australia's current jobs could be replaced by automated technologies by 2030. As a result, the cost of health and education is rapidly becoming unaffordable for everyday people. Everyone has a right to accessible and affordable education and healthcare, regardless of their postcode or bank balance. A shift to building our services to benefit people in a sustainable way, de-casualisation of the workforce and making sure the minimum wage is a liveable wage is the best step forward for the people of Dawson. Colin Thompson: Growth and cost of living is underlying in all the key issues within our electorate. Security in our essential services, including power and water, is a key factor in cost of living, doing business and propagating growth. We need genuine investment into our region and liveability to enable population growth and diversity within our community and the industry sectors we hold. Zonal taxation, pay 20% less tax in our region, not only to ease current financial burden, but foremost encourage people to our region driving growth. WHAT MEASURES WOULD YOU TAKE TO ENSURE SMALL BUSINESSES PROSPERED? Brendan Bunyan: We need immediate and direct action to lower the cost of living. Our local businesses are struggling to be profitable because of regulation, energy and multi-national companies are shifting wealth away from our locals. Yes, jobs are provided, but profits from local vibrant businesses stay here, giving us the essential fabric of our community. Rural enterprises need to make money. That profit drives the small business sector in our towns, yet regulation, taxes and energy costs cannot be allowed to rob us of that vital enterprise. Small local businesses will prosper if our mining, farming and grazing enterprises are allowed to bring in export revenue, and this gets spent in towns, schools open and health services paid for. George Christensen: We have already lowered the small business tax rate for small and medium businesses with turnovers below $50million. Those currently paying 27.5 per cent will have a 25 per cent rate by 2021-22, five years earlier than previously planned. Businesses with an annual turnover of up to $50m can now instantly write off purchases of up to $30,000 from their tax bill. I spear-headed the successful campaign to have 30-day payment terms between big business and small to medium business in our region. There is also close to $1 billion of federally-funded road works underway or soon to start, and that investment will flow on to local businesses. Belinda Hassan: Small and medium businesses are pivotal to our economic prosperity. That's why under a Labor Government, 99 per cent of businesses will receive a tax cut, no business will have their tax rate increased, and all businesses will be able to plan and invest with confidence and certainty. We'll also deliver tax cuts for small and medium businesses, delivering certainty to the sector in a fiscally responsible way. Under Labor, small and medium-sized businesses with a turnover of up to $50 million a year will have their tax rate reduced to 25 per cent by 2021-22. I know investing in great, local opportunities like the Great Barrier Reef Arena at Harrup Park is fundamental to the Mackay region. We've committed $10 million for this project, creating local jobs and putting our region on the map as a sporting and entertainment destination. Providing our small businesses with skilled employees is also critical to this sector. Deb Lawson: Let's keep some of our coal here and feed a coal-fired power station with it to bring power prices down. Once that's taken care of, slash red and green tape and let business get on with its job. Imogen Lindenberg: The Greens aim to be a voice for small business. As a worker in a small business, I have a unique outlook onthe current challenges facing small business operations. The Greens plan to restore the 'loss-carry-back' provision to company tax, helping small businesses claim a refund on previous tax payments if they make a loss within the following two years. This encourages investment and innovation in businesses. We also plan to invest $20m in dedicated mental health support for small business owners and staff, to help businesses protect and retain their most valuable assets - their people. The Greens are the only party to receive the endorsement of the Council of Small Business of Australia. Colin Thompson: Enable businesses to pay tax annually once they have earned their money, in place of provisional, keep the money in our economy and invest additional revenue back into our hospitals, schools and infrastructure. HOW WOULD YOU DRIVE GROWTH THROUGHOUT OUR REGIONAL TOWNS? Brendan Bunyan: Creating regional opportunities is the only way to drive growth, with new industries diversifying off our local and established business. We need to stop governments making decisions based on influences from outside the north. Ethanol would give us a reinvigorated sugar industry, yet for this to work we must remove the unwarranted excise on renewable fuel and mandate that 4% ethanol is adhered to. We must stop the unfair regulation on our farmers. Our country, our north needs nation-building projects that encourage decentralisation and a return to our area the revenue we generate. Nation-building projects means growth. Our country needs nation-building enterprise, that is growth. George Christensen: You need to back the traditional industries which are the key drivers of both jobs and economic growth in our region - mining and farming. I have done that through millions in direct funding to local mining support businesses and farm groups via the Regional Jobs and Investment Program as well as Research and Development and Innovation grants. I have also backed in the Carmichael Mine which will deliver 8000 direct and indirect jobs for Central and North Queensland. Future growth will be delivered by catalytic projects such as the Carmichael Mine and also Urannah dam which has the capacity to service a number of mines and other industrial developments and open up 20,000 hectares of cropping land. Belinda Hassan: Our NBN is in the dark ages, resulting in widespread delays and issues with the infrastructure rollout. We cannot drive growth throughout our regional towns without an operational, affordable and reliable connection to the NBN. Tourism also plays a vital role in boosting our local economy and supporting our small businesses. Over the coming years, the tourism sector will be a key driver of economic growth and well-paid jobs. We'll inject $1 billion into new tourism infrastructure through the Northern Australia Tourism Infrastructure Fund, giving our regional towns the opportunity to tap into boosting partnerships with the tourism sector and to provide incentives to business for investment in new and upgraded tourism infrastructure. Our region's backyard includes the Great Barrier Reef and pristine national parks - I will work hard to ensure that the overseas tourism market has our region as their number one destination. Deb Lawson: Start by funding extra regional services with One Nation's plan to redirect our foreign aid budget to Australians first. Imogen Lindenberg: Queensland coal workers and coal towns have worked hard to build Australia's prosperity. Coal has been good for our community but we cannot continue in a boom-bust cycle. We must look beyond coal for our future growth, as the global economy transitions away from coal as a main energy source.This means diversifying our industries and creating new opportunities. The Greens will help our economy create the jobs of the future by funding renewable energy and other infrastructure to transform our energy system, creating 182 000 jobs Australia-wide. This includes supporting our community through this transition., so the workers aren't the ones who suffer. Reducing our reliance on the coal industry will also reduce the extreme boom-bust economic cycle that Dawson regularly encounters, where residents face a high cost of living during booms and widespread job losses during busts. A diverse local economy will be more stable, protect jobs and help Dawson grow sustainably, which is what this electorate deserves. Colin Thompson: Creating diversity by value adding to our existing resources including what we grow, through processing opportunities, many of which have been tabled for many years but not brought to fruition or even lost.